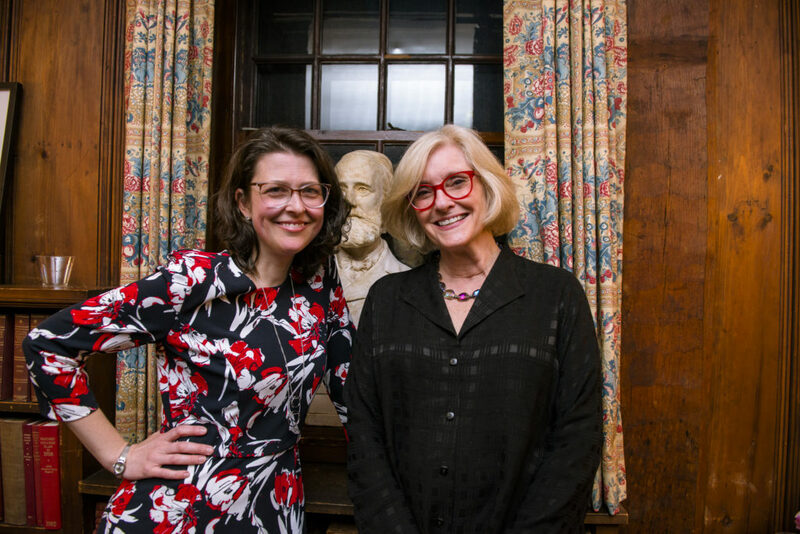 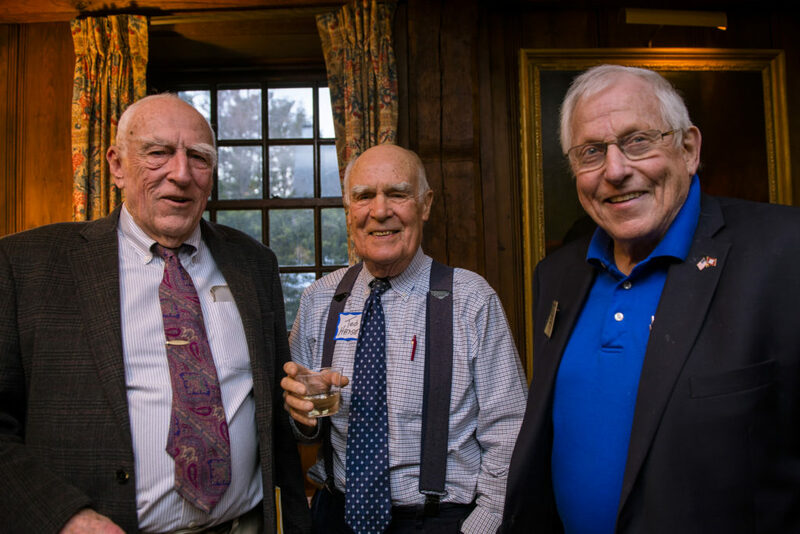 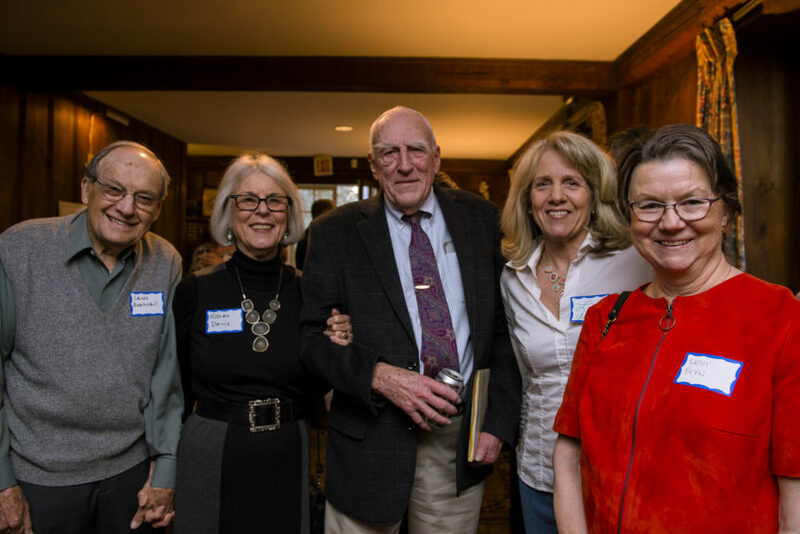 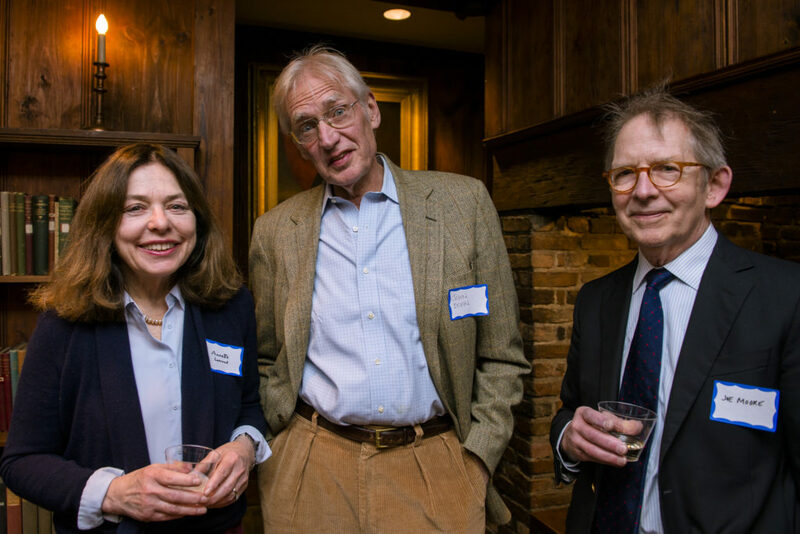 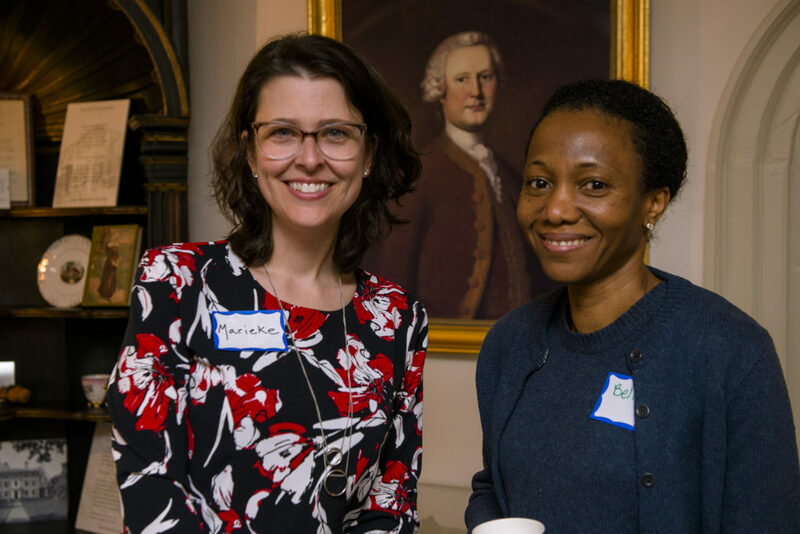 Friends and family gathered at the Hooper-Lee-Nichols House in early April to celebrate Andy Leighton, who has stepped down after nearly three decades of service to the Cambridge Historical Society. 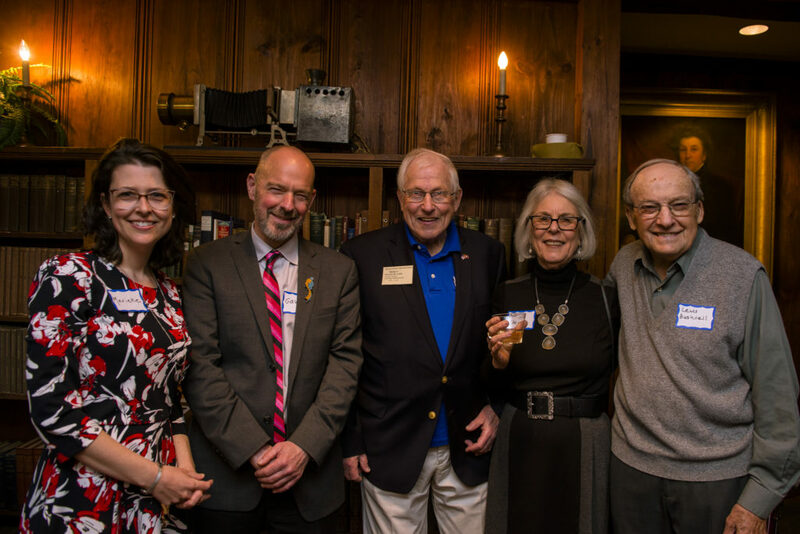 Current and former Society presidents, executive directors, council members, staff, and friends thanked Leighton for his countless contributions as a member of the Finance Committee and the Advisory Council, and his twenty years as Treasurer of the Society. 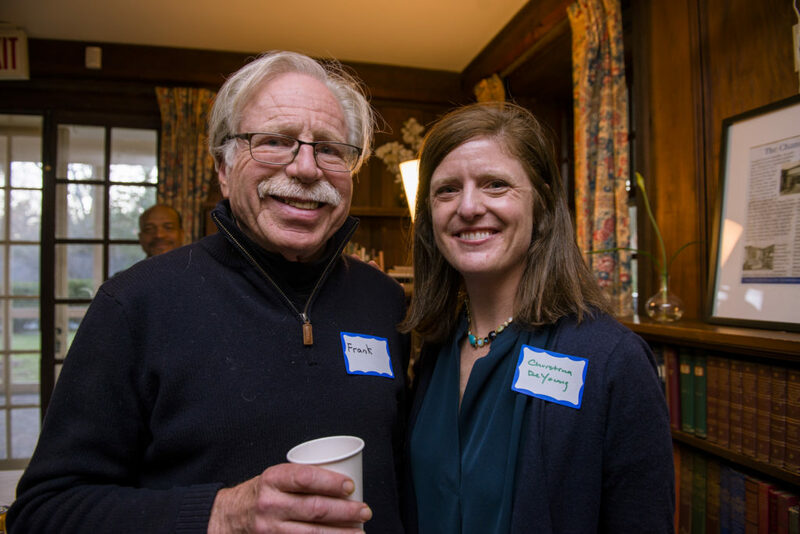 Andy’s history with the Society goes back even further, having grown up next door to the Hooper-Lee-Nichols House. 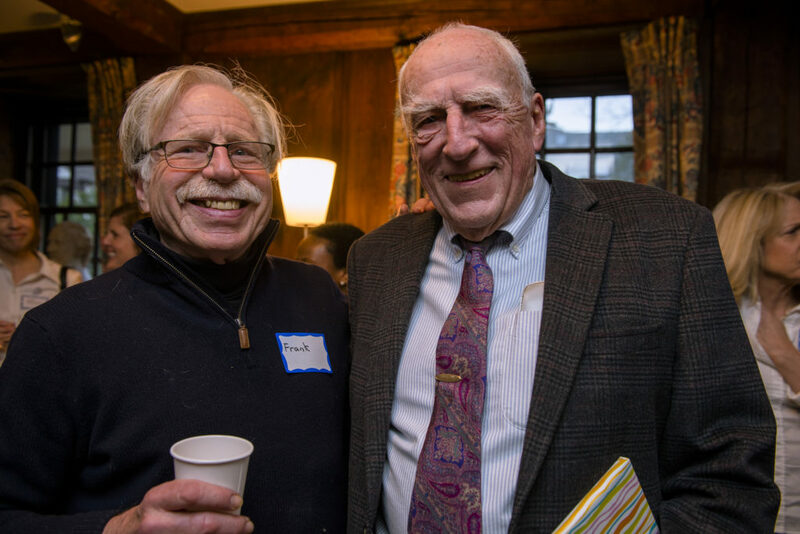 He remembered playing with his childhood friend Malcolm Frazier, a grandson of the Emerson’s, in the very room where his goodbye party took place. 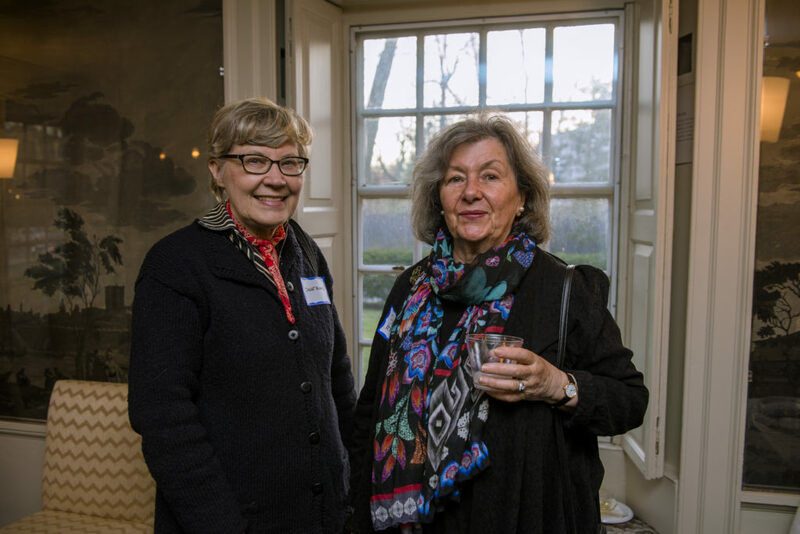 He also noted that in 1976, his wife Phebe, a member of the Plant and Garden Club and a garden designer, created a design for the Hooper Lee Nichols House gardens which was implemented by Charles Eliot, then President of the Society. 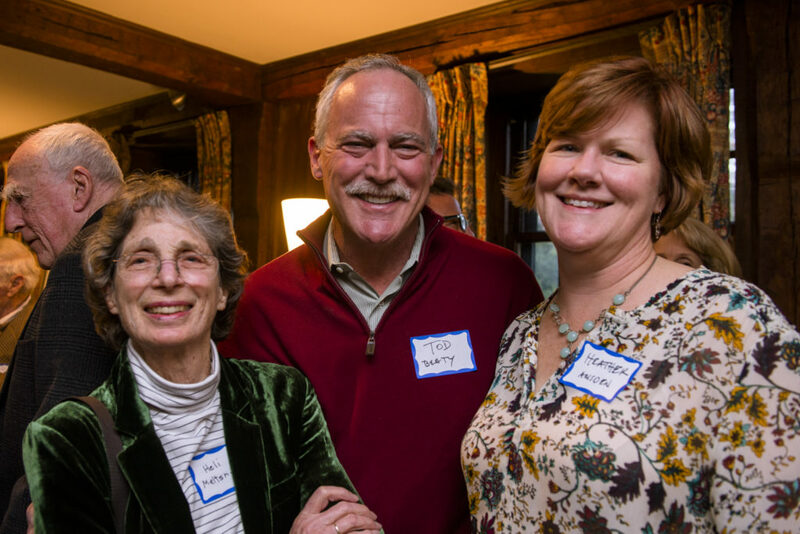 Andy’s fellow Council members will miss his wisdom, kindness, humor, and generosity. 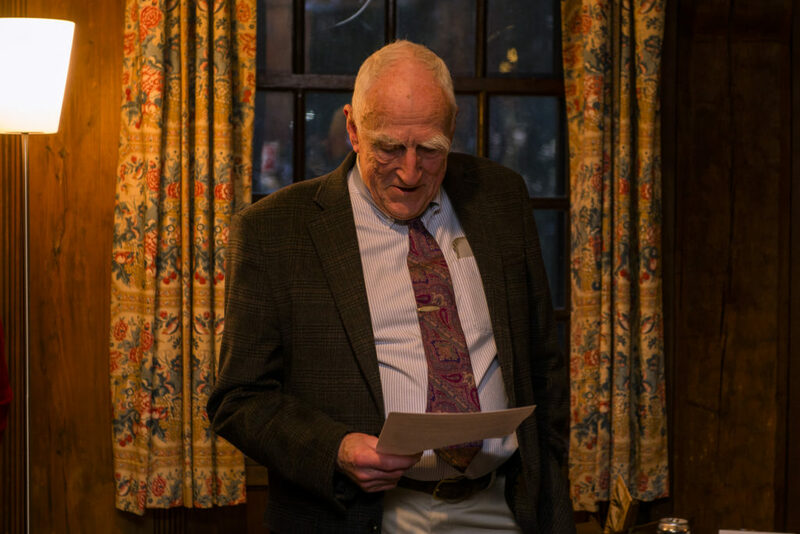 Although his formal involvement has ended, all hope that he will remain an active member of the CHS community.